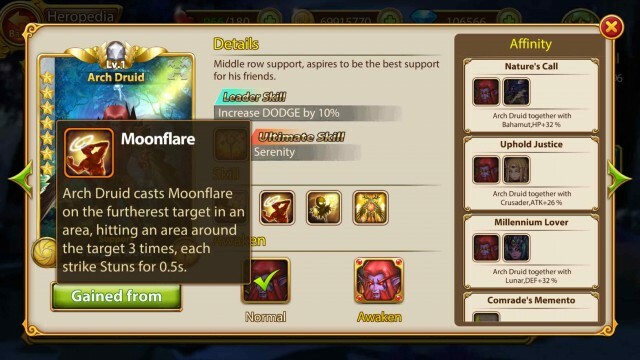 Known by many players, Spirit Guardian is one free mobile RPG game that prides itself on having one of the most diverse cast of characters which all these characters are allocated in different leagues: Western Myth, Tempest World, Oriental Legend, Lords of War and others. Each league has its own characteristics and strength. “It is my duty to protect the earth”, Arch Druid roars this slogan and enters the Tempest World with his stunning wings and sharp eyes. 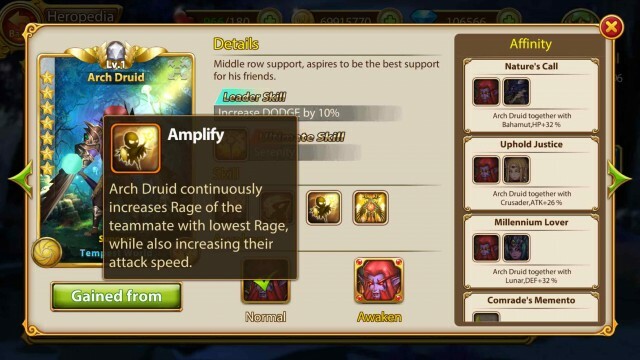 The appearance of Arch Druid in the Tempest World definitely upgrades the HP limit. Then let’s have a look at what kind of extraordinary skills that Arch Druid has got. Arch Druid continuously heals all teammates in the area for total HP equal to 370% of attack, and removes all negative effects, lasts 2.5s. 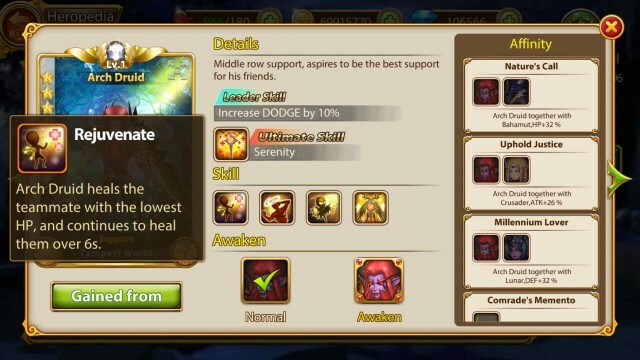 As the strongest teammate support which helps recover the HP, Arch Druid can return a large range of blood and continue to clear the negative state. With him in league, Tempest World is not afraid of the control of the enemies. Arch Druid heals the teammate with the lowest HP and continues to heal them for 6s. 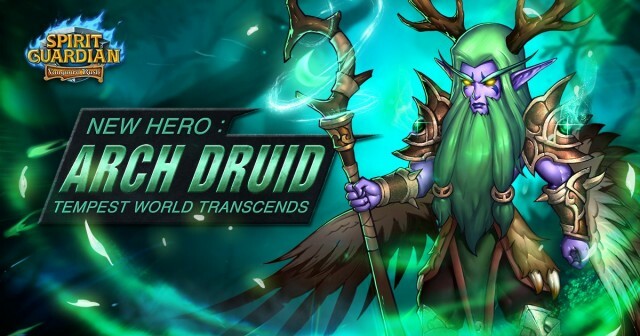 This talent enables Arch Druid to rescue the hero with lowest HP and guarantee the sustained combat capability. Arch Druid continuously increases Rage of the teammate with lowest rage, while also increasing their attack speed. 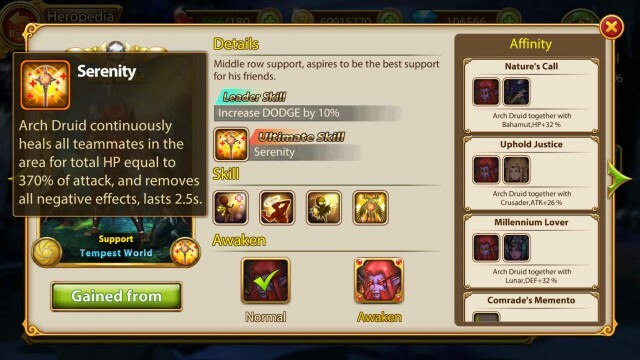 Talented with strong monomer complementary skills, quick recovering anger and quick speed of attacking, Arch can easily release its ultimate skill and thus reverse the combat situation. Arch Druid increases his attack and gains Will Power buff (increase resistance to stun, freeze, silence, charm and petrify). 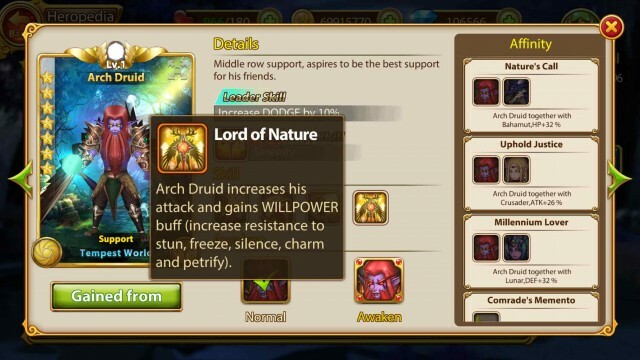 Arch Druid not only increases his own attack, he can also increase the output and HP returning ability at the same time, no wonder that he is the strongest support in Tempest World.